Did you know you can worsen you bad back if you oversleep? I carried out an experiment on the connection myself. More on that later. At first, I wasn’t sure if this was just me or not. But I have asked a lot of other back pain sufferers too. And they all say their back pain is a lot worse if they oversleep. So I did some research and oversleeping does have a detremental effect on chronic back pain, as well as a whole host of other conditions, such as depression. I knew oversleeping wasn’t good for us, as I always felt a lot worse after oversleeping myself. I have several books on sleep and it is stated in all of them that you should be consistent and aim for 7 – 7 hours 30 minutes of sleep every night. I have found that you can maybe stretch to 8 – 8 hours 30 minutes, if you have a rough night the night before, but even if you only have 3 hours or fewer, you should not then have 9 hours or more the following night to try and make up for those lost hours. It will not make you feel better. It’s best to increase your sleep gradually. Especially if you suffer from insomnia. You need to feel tired at the end of the day, and insomniacs never do, because of poor sleeping patterns. In my free 5 Day course, there is a section on Sleep, and another bonus section on how to stay organized enough to optimize healthy sleep patterns. Sleep is so important. But most people don’t realize just how much. And oversleeping is just as dangerous as undersleeping. Some experts even say that people who regularly oversleep are at risk of death; mainly from stroke, but also several other causes too. Just sticking with back pain, it is not clear exactly why, but the subject of sleep is a very mysterious one. We still do not know everything about sleep, and its effect on the body and mind. As you know I strongly believe in the mindbody connection, and anything that increases the effects of depression is not good news for chronic pain sufferers. Low mood has very strong implications for chronic pain. People (often with depression) who insist they need 8 hours or 9 hours of sleep a night, are very mistaken. They have simply never been able to stick to a healthy sleep pattern to discover the truth, and they are sleeping themselves into an early grave. For just over a year in 2007 I kept a sleep-pain diary as I noticed a connection, and wanted to see just how much it affected me from day to day. I must say at this point that this experiment would not be accepted in any clinical way, because for my own sanity, I did not deliberately try to overlseep – or undersleep. I knew it wasn’t good to do that, so I just made a note of my pain levels as soon as I woke up, and throughout the day every day. The poor sleep patterns happened with no effort! I would aim for 8 hours sleep in the beginning (this was before I learned that 7 hours 20 minutes was my optimum length of time to sleep) and my pain would often be a 5 or a 6 (10 being the most painful) when I first got up, and lower to a more acceptable level later in the day. But on the days I overslept, even by one hour, not only would my pain be higher; – 7 or 8 – but it would remain quite high for the rest of the day too. Once I learned this, I of course tried to control my sleep more, but we all fall off the wagon, and when I failed to stick to my routine, I would not be able to sleep. This would mess up my sleep patterns for up to two weeks. Yes! That’s how bad I was. I was very sensitive to just one night of poor sleep – there’s no way I could work night shifts for example. So I got better and better at sticking to my routine, even if I did mess up occasionally, and the results were amazing. Not only would I be able to sleep beautifully most nights, my pain levels dropped considerably. This was before I implemented other extremely effective methods to relieve pain, so I knew it was definitely the healthy sleep pattern that was responsible for reducing pain. I would strongly advise keeping a sleep-pain diary yourself. Try to keep one for at least 6 months, so you can get a really good picture of what is happening. And aim to find out your optimum length of time to sleep. If possible, try for 7 hours 20 minutes or 7 hours 30 minutes. It will not be far from that time. And let me know your results here! 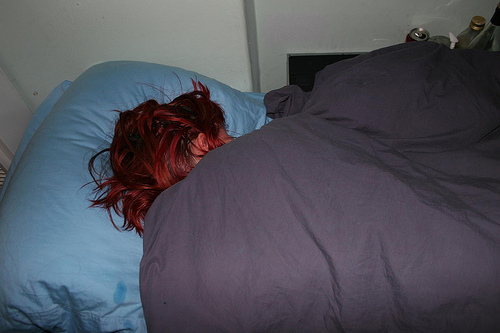 guess I have to continue acheing I need at least 10 hours every night, i couldnt wake up sooner if my bed was on fire. I also realized the connection between too much sleep and poor health.. Your article is spot on. Some people even need less sleep than 7. Even if I sleep late at times but wake up early I am still fine, but once you start staying in bed longer to try and make up sleep it actually is not the best thing to do. Previous post: Is it Hard to Stick to a Routine for Back Pain? Next post: Do THIS When Bending to Prevent Back Pain!